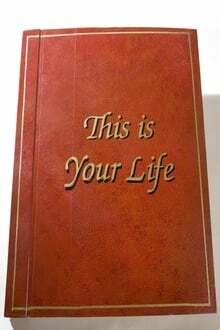 This is Your Life is a British biographical television documentary, based on the 1952 American show of the same name. It was hosted by Eamonn Andrews from 1955 until 1964, and then from 1969 until his death in 1987 aged 64. Michael Aspel then took up the role of host until the show ended in 2003. It returned in 2007 as a one-off special presented by Trevor McDonald, which to date was its most recent airing. We don't have any reviews for This Is Your Life. We don't have enough data to suggest any TV shows based on This Is Your Life. You can help by rating TV shows you've seen.